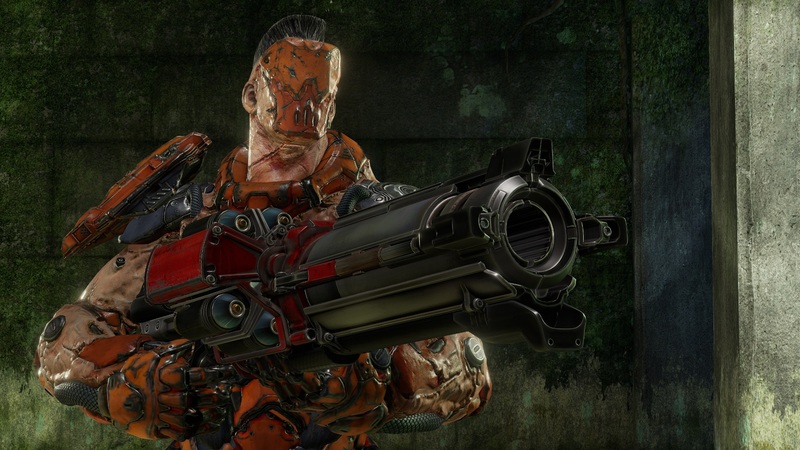 id Software announced during the weekend that Quake Champions will soon see the addition of bots to the game. These can be set on a sliding scale difficulty. Bots will be released in two phases. Initially, they won’t be able to use Champion abilities and will thus be restricted to certain modes (TDM, DM and Instagib), though this limitation will be overcome by the time phase two bots are launched. id Software also demonstrated a new gore system (coming soon) which will individually model each tiny section of the characters. You can check out a brief video footage here. New Features: The April Update also brings other improvements, including Daily Rewards given when players first login for the day and a new player UI guide that helps new players get up and fragging faster. Additional features will continue to be added as the game progresses towards full launch. Quake Champions is due to launch out of Steam Early Access later this year. In the meantime, you can check out our preview article.